Effective Aug. 18, Polk County Sheriff’s Office Lt. Bobby Neil is now the head of security at Polk State College. Neil will supervise all aspects of the College’s security efforts, including maintaining security and emergency response programs, managing the contracted security force, ensuring follow-up investigations are conducted as needed, ensuring the College adheres to state and federal laws related to campus security, and serving as a liaison with area law-enforcement agencies. Neil will report to Capt. Bill Mann, who is also employed by the PCSO and directs the College’s Kenneth C. Thompson Institute of Public Safety. 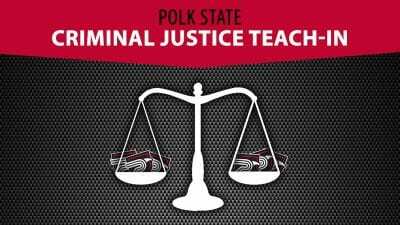 Neil, who is in his nineteenth year with PCSO, welcomes the opportunity to serve Polk State. Taking the job at Polk is also a homecoming for Neil. He grew up in Oakland, a predominately African-American section of Haines City. His mother worked two jobs to support five children on her own. He was an average student in school. He admits he was more interested in sports and socializing than what was being taught in the classroom. Given his background, Neil said, when he graduated from Haines City High School, he didn’t consider pursuing higher levels of education. But Neil’s high school graduation came in 1991, in the midst of the first Gulf War, and his friends encouraged him to enter law enforcement instead. Neil cut hair — for $3 a head — to pay his way through Polk State Kenneth C. Thompson’s Institute of Public Safety. Soon after he graduated, he went to work for PCSO. Encouraged by the agency to further his education, Neil returned to Polk State. He earned his Associate in Science degree in Criminal Justice in 2002, but he also gained a new understanding of his own potential. 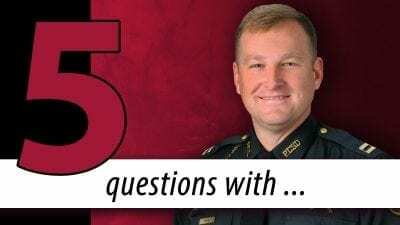 Neil has since earned a bachelor’s degree in organizational management from Warner University, a master’s degree in public administration from Troy University, and another master’s degree in theology from Liberty University. The latter degree is useful in his work with the homeless. The College had traditionally employed a civilian to oversee security efforts. In 2012, however, it entered into an innovative partnership with PCSO to intensify security at its campuses and centers. As a result of that partnership, in July 2012 PCSO Lt. Paul Kurtzweil was named head of security. Kurtzweil will return to patrol duties for a year before retiring from law enforcement. While Neil coordinates all College security efforts, PCSO Sgt. David Bright remains the primary security contact for the Lakeland campus and Airside and Clear Springs centers. Neil will be stationed at the Winter Haven campus. He can be reached at bneil@polk.edu or 863.297.1030, ext. 5128.